In basic definition, surgical dermatology involves the diagnosis, medical procedures, and treatment of various serious cosmetic conditions that relate to hair, skin, veins, adjacent tissues, and mucous membranes. This complicated medical procedure entails the total reconstruction and repair to improve the cosmetic appearance and functions of vital skin tissue. Thanks to the many contributions of reputed skin surgery pioneers, clinical breakthroughs, and the innovation of accurate medical equipment, there are endless possibilities to surgical dermatology. If you are considering a procedure, you must first familiarize yourself with the basics of surgical dermatology. Read to find out more about surgical dermatology and how Front Range Dermatology is the premier treatment center for you. 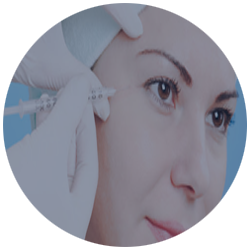 In the broadest sense, a dermatologic surgeon is a medical specialist that carries out a surgical procedure involving cosmetic reconstruction. These individuals are board-certified physicians that are experts in their field. These medical specialists routinely perform surgeries that are both medically necessary and used to maintain the health and overall appearance of your skin. Most dermatologic surgeons are pioneers in the development and research in today’s most groundbreaking surgical procedures. At Front Range Dermatology, we employ the brightest minds in surgical dermatology to ensure that you will receive unparalleled treatment and care. What Can Dermatologic Surgeons Do For You? Dermatologic surgeons specialize in the practice of surgical and nonsurgical procedures of diagnosing certain skin, hair, veins, and nail conditions that include unwanted fat, aging skin, skin cancers, benign tumors, varicose veins, and excess hair. With years of experience studying living skin cells, these professionals are equipped to employ a wide range of preventive and corrective medical techniques to keep your skin and other cosmetic areas well-maintained and refined. The doctors at the Front Range Dermatology have extensive experience in surgical procedures. All worked as teaching staff at dermatology training programs. This extra level of expertise is unmatched in Northern Colorado. We would be more than delighted to extend our medical expertise to you! What Are Some of Our Common Treatments? If you are experiencing a need in a cosmetic change, do not hesitate to contact Front Range Dermatology’s award-winning team by submitting the form below. To learn more about the many dermatology services we provide, or to schedule your appointment at our Fort Collins, Loveland, Greeley or Ft. Morgan office, call us today at (970) 673-1155. Want to Contact Us?